The Winston-Salem chapter of Moms Demand Action for Gun Sense in America is hosting a series of events to recognize gun violence awareness for National Gun Violence Awareness Day and Wear Orange Weekend. This year our Mayor, Allen Joines, has proclaimed June 1, 2018, National Gun Violence Awareness Day in Winston-Salem to show our community is committed to ending gun violence. 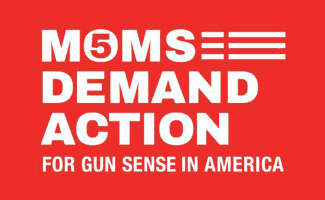 Moms Demand Action was founded after the Sandy Hook Elementary school shooting in 2012. Stay at home mom Shannon Watts formed this organization to demand action in establishing common-sense gun law reforms. The organization brings together moms in communities around the country to work on making the reform possible in many different ways. It has grown from a grassroots organization to becoming a national force for change. Moms Demand Action supports the 2nd Amendment, but believes, as a country, we can do better to protect our children and the people we love from gun violence. Winston-Salem is proud to have a local chapter of Moms Demand Action that is working hard to raise awareness about gun violence and provide common sense ways to help our community stay safe. In 2013, Hadiya Pendelton was shot and killed in Chicago. She was only 15 years old. Her friends chose to wear orange in her honor and asked that others would do the same to show their support. Since this time, orange has been the color of gun violence awareness and Wear Orange Weekend began. Part of this initiative is local participation in Wear Orange. Every year, Moms Demand Action, with its partner organizations, have events around the country and Winston Salem is proud to participate. There will be a series of events around Winston-Salem where the community is invited to participate in Wear Orange Weekend. 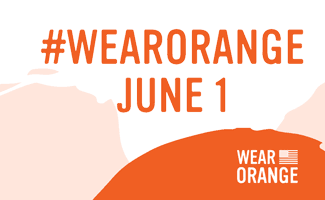 Community event where staff and visitors will wear orange to honor those affected by gun violence. Please join us for cake and refreshments while we observe a remembrance wall that will honor Winston-Salem’s 2017 gun violence victims. The Kimpton Cardinal Hotel, our iconic and historical R.J. Reynolds building, will be lit up orange! Join us for a Be SMART presentation by Heather Levinson, to learn how to keep children and teens safe through safe gun storage and a conversation about kids, guns and safety. Join other Winston-Salem residents at Rupert Bell Community Center for a local event in recognition of National Gun Violence Awareness Day. Bring your family out to the community center to play and enjoy a hot dog lunch while we raise awareness about gun violence in Winston-Salem. Join St. Anne’s and Moms Demand Action in an outdoor ceremony to honor and remember the 21 gun homicide victims in Forsyth County, NC during 2017. Hand-decorated orange t-shirts will be displayed as a banner, bearing each victim’s name, age, ethnicity, gender and death date. The ceremony will include a musical performance. There are lots of ways to get involved with Moms Demand Action. Volunteers work on teams related to legislation, education for our children, education for our communities, outreach and events. If you are interested in learning more about Moms Demand Action Winston-Salem, you can like the Facebook page to stay posted on monthly meetings, events and other information. Meetings are the second Tuesday of each month. Come check out the June meeting to learn more about different ways to help. What are you doing to teach your kids about gun safety?